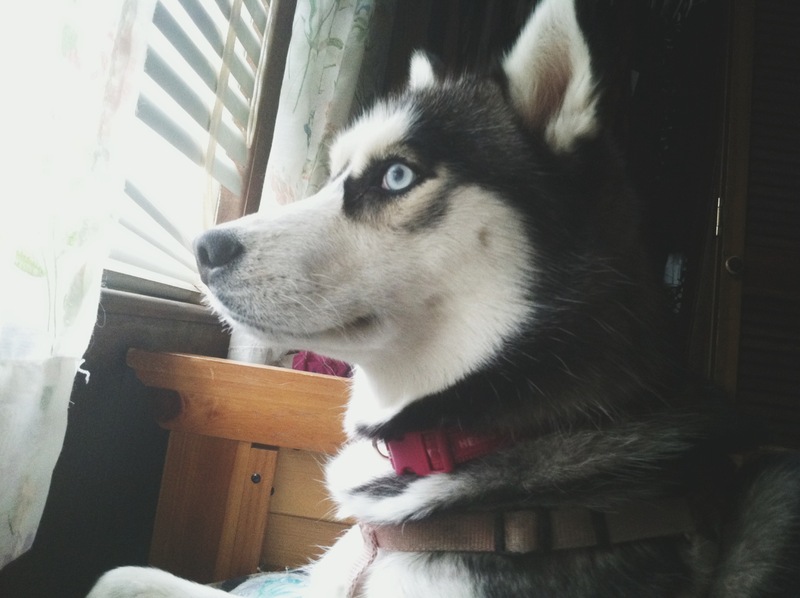 Maryna is our 1.5 year old Siberian Husky. We decided we wanted a dog after we found out I was pregnant two years ago. We loved the idea of raising a dog and a kid together, especially if we decided to not have any more kids for a bit. Most of the people that we told were against the idea saying we were “biting off more than we could chew.” Maybe we were, but it still didn’t stop us from looking around for a family dog. Jeremy and I both love huskies. We had talked about raising one a few times. 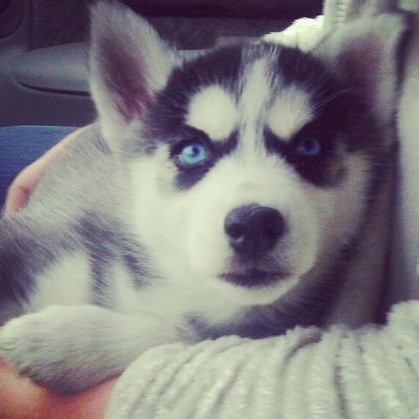 So, we started looking for a husky pup and we stumbled across Maryna that night. It was love at first sight for me. I contacted the lady through her email immediately to set up a time and date to go and get her. We picked Maryna up on Valentine’s Day. It was the sweetest gift anyone has ever gotten me. The lady showed us around her place so we could make sure her environment was clean and such, and then finally took us to where our little puppy was. I looked in and saw Maryna and my heart fluttered. She was even more beautiful in person (fur, maybe?). I noticed that as soon as I picked her up she was sweet and even Harmony started to kick around in my belly. I knew this was the right decision despite what everyone else had told us. We’ve endured some obstacles and troubles with Maryna. We used to live in an apartment , and at one point we talked about giving her up solely because we felt like she didn’t have enough room to play and be herself. However, an opportunity came along and we were able to move into a smaller place. It’s a tiny home, but it has a big backyard so both the baby and the dog are way happier. Maryna is still the sweet dog she’s always been. She’s also Harmony’s best friend. I honestly couldn’t ask for a better companion or best friend. Jeremy works really early in the morning, and as soon as he’s gone, Maryna’s in the bed snuggling with me to keep me warm and happy. Raising both her and Harmony together has been chaotic, but so rewarding. I love watching them play together. I love watching Harmony scream, “Dag! (Dog)” around the house as Maryna plays with her toys. They even nap together. Everyone should have a Maryna in their life. 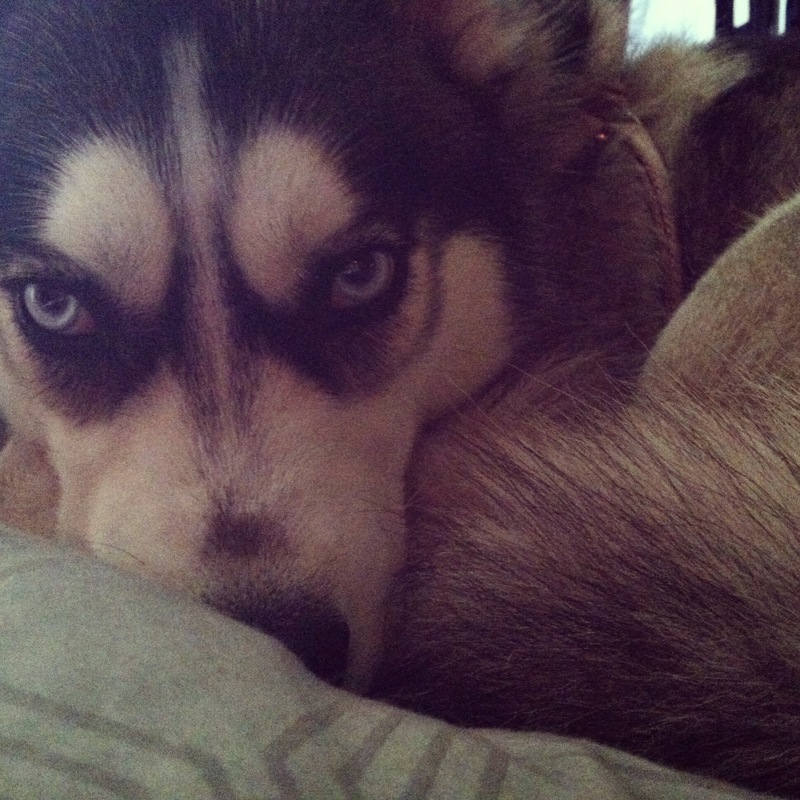 [ Smiles ] Maryna, is a beautiful dog. Is she well-behaved when guests are around? Maryna has never met a stranger! She can get kind of hyper, but part of that is just her breed. Once she calms down she is a love bug, and still thinks she’s a lap dog at 50 lbs haha.